*While we recognized there are many, notably independent producer Tyler Perry, working outside the Hollywood system, the African-American Film Critics Association worked to identify 10 entertainment Industry Power Players. Although the ability to green-light film and television projects still eludes most executives of color in the entertainment industry, an ever increasing number of bright, young and talented Black executives now have seats at the tables in Hollywood’s executive conference rooms. In 2011 nearly every studio employs at least one African American within its upper decision making ranks. As the V.P. of Production for Columbia Pictures, Franklin is the creative executive responsible for global box office-winners like The Karate Kid, The Pursuit of Happyness and Hancock, starring Will Smith. The ordained preacher is also keeping in line with his faith via films like Not Easily Broken, produced by Bishop T. D. Jakes and the upcoming romantic comedy, Jumping the Broom, starring Angela Bassett and Paula Patton. A Harvard Law School graduate, Hawkins is a former Morgan Stanley investment banker who today represents talent like Rosario Dawson and many of the world’s leading writers and directors including Spike Lee, Geoffrey Fletcher, Alex Tse, Eric Singer, Nick Schenk, and Mark Verheiden. A former executive with Starbucks and Magic Johnson Entertainment, Denson-Randolph heads up the strategic development and implementation of AMC’s specialty programming efforts and initiatives. She’s an out-of-the-box thinker who is at the vanguard of developing new forms of distribution for ethnic and alternative content at the second largest theatre chain in America. Having gained experience in both the financial and creative development of many high-profile projects at Warner Independent Pictures and Brad Pitt’s Plan B Entertainment, Nagenda is well-suited for his current position at Disney. Presently he’s overseeing production of the upcoming teen comedy Prom, plus a new live-action take on Cinderella. Acting as the network liaison overseeing the day-to-day production of some of the network’s highest-rated shows, including the top-rated drama Vampire Diaries, as well as 90210, One Tree Hill, Supernatural and freshman series Hellcats, Blackwell has a proven track record as a superb judge of good talent and content that makes good TV. Previously an executive at UPN, where she oversaw the comedies, Girlfriends, Everybody Hates Chris and Eve, this Spelman grad has gained a reputation for her Midas touch. 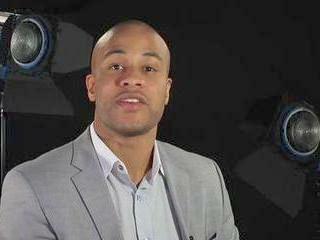 A partner at one of the leading entertainment talent agencies in Hollywood, Dobbins manages the careers of some of the biggest names in showbiz: F. Gary Gray, Affion Crockett, Anthony Anderson, Niecy Nash, Andre Braugher, Regina Hall, Wood Harris, Sylvain White, DJ Qualls, Benny Boom, Chris Robinson and Jon Chu. The UCLA graduate recently expanded his career to include producing projects that include the Fox TV series Do Not Disturb and the Oxygen cable network series Campus Ladies. A Dartmouth and Harvard alum, Mashariki’s impressive resume includes co-founding the African Grove Institute for the Arts (the first national black theatre organization) with esteemed playwright August Wilson and starting the American Black Film Festival Filmmaker Workshop 101. Since arriving at Searchlight, she has been responsible for a diverse slate of cinematic offerings that includes: LE DIVORCE, ANTWONE FISHER. Notorious, The Secret Life of Bees, Never Let Me Go, as well as the upcoming THE BEST EXOTIC MARIGOLD HOTEL, starring Judi Dench, Maggie Smith, Tom Wilkinson, Bill Nighy and Dev Pate. In her spare time, Mashariki finds time to teach film/MFA students at the University of Southern California. Watkins established a track record of success during tenure as an expert marketer for SiTV, the Latino and multicultural network; Gemstar-TV Guide; Lifetime Entertainment Services; and A&E Television Networks. Today, as the “go-to” person at Universal, she is responsible for all marketing outreach efforts to African American moviegoers that includes high-profile upcoming projects like: The Adjustment Bureau, Hop, Fast Five, Bridesmaids, Larry Crowne and Cowboys & Aliens. Fans of the smooth and silky Philly vocalist will once again be lifted into a soulful slumber with his new CD, which finds the artist updating his sound, but not too much. 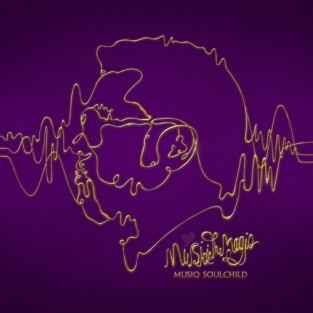 Featuring the lead single, Anything,” Musiq once again delivers a record that you can listen to from beginning to end, and then repeat. Additional tracks like, “Silver & Gold,” “Lovecontract,” and “Medicine,” should satisfy a variety of radio formats and earn the gifted artists new fans. I must admit that I was very curious when the 2011 Pilot arrive in my drive way for a week long test run. Of course I had heard a lot of the positive buzz from friends and colleagues, but I still wasn’t convinced that this ride, with its slightly weird, oblong body, could be everything they claimed. Boy, was I wrong, the Honda Pilot is totally a sweet sensation. Wow Factor: Let’s see, where do I begin? From its refined driving dynamics, performance, and fuel efficiency this car delivers all the things a driver can expect, plus more. This ride has got something for everyone from car enthusiast to commuter drivers. Ride: The 2011 Pilot’s 3.5-liter V6 engine (with a five-speed automatic transmission) delivers more than enough power to handle everything most drivers on the road. Drives will be grateful for its great fuel economy, which gets 17/23 mpg city/highway, and passengers will appreciate the smooth sturdiness this ride offers on a variety of road conditions. 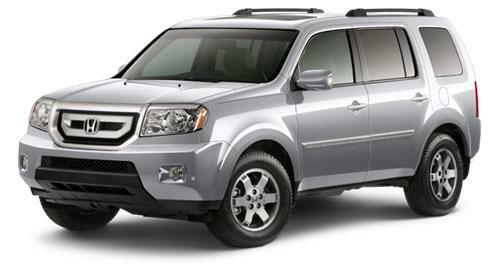 Comfort: Bliss is the best way to describe the confident feel the 2011 Pilot provides for both driver and passenger. The front seats offers great support for rides that will be welcomed on long road trips and the rear seats feature great leg-room, plus an advance entertainment system that’s great for long drives. The cargo area is also highly functional and is designed to carry heavy loads without a lot of maneuvering. In addition to all of this, the 2011 Pilot has earned near perfect scores in all car safety tests.